At every boat show there’s at least one company that makes a big splash with new technology or multiple product introductions. 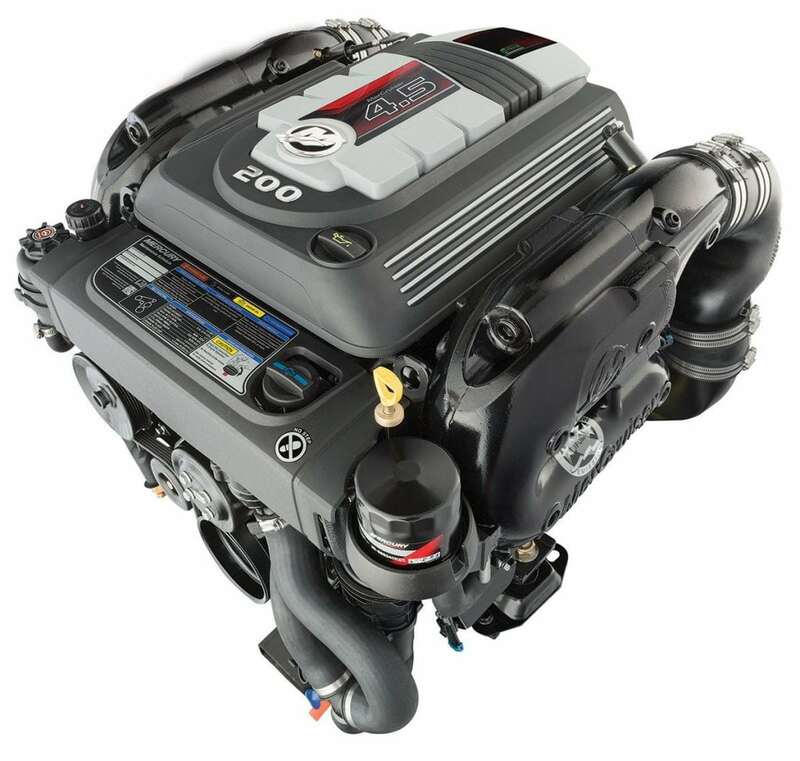 At the 2015 Miami International Boat Show last February, that company was Mercury Marine, which launched an entire fleet of new engines—the Verado® 350-hp outboard, Mercury Racing Verado 400R outboard, Mercury Racing QC4v 1550 sterndrive, and Mercury 4.5-liter 200-hp sterndrive. Since then the Fond du Lac, Wisconsin-based division of Brunswick Corporation continues to garner attention for winning awards, sponsoring a Major League Fishing sweepstakes, and building a government “stealth” product that few boat owners will ever see. 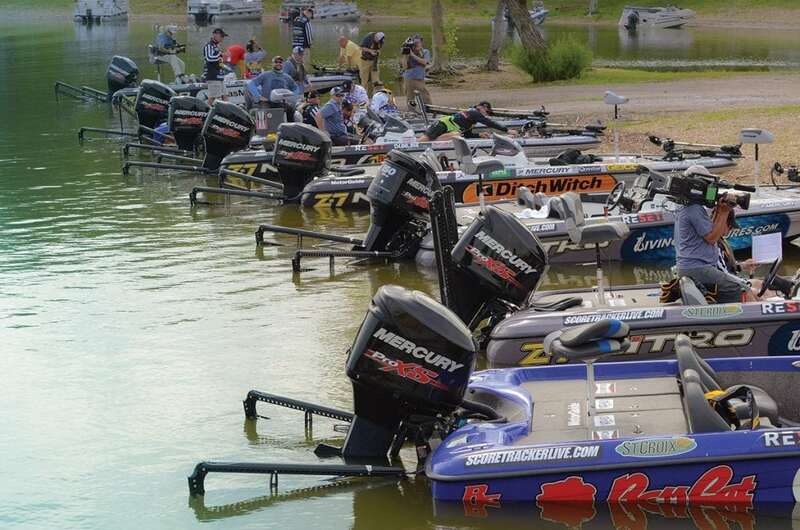 If your summer boating and fishing calendar—and budget—is already booked solid, enter the Major League Fishing “Ultimate Dream” sweepstakes for your chance to win an all-expense paid weekend October 9-12. Winners will receive round-trip airfare to Orlando, Florida, three nights of hotel accommodations, meals, a guided half-day of fishing with a pro angler, a $250 gift card from Bass Pro Shops, and some major swag from Major League Fishing. Mercury Marine engines will be on all boats used during the fishing trip. The fishing spots will not be revealed until October 11th. Sign up through July 31, 2015, at majorleaguefishing.com. Mercury Racing® recently released a second “stealth” outboard developed for the U.S. Department of Defense (DOD). The OptiMax Diesel is an exclusive spark-ignited, direct fuel-injected two-stroke that operates on ultra-low-sulfur diesel fuel, which is readily available around the globe. “A Navy ship crash in 1995, which resulted in an explosive gasoline fire, spawned a DOD directive for all gasoline-powered engines and gasoline fuel tanks be removed from Naval ships by 2010,” said Tony Nahitchevansky, Mercury Marine government accounts manager. The 3.0 Liter V-6 Diesel, which produces 175 prop-shaft horsepower, shares 95 percent of its components with the gasoline engine from which it derives. And, with only a handful of unique parts, there are minimal additional training requirements necessary for maintenance. A two-stage, direct-injection system uses a small charge of compressed air to finely atomize the diesel fuel as it injects into the combustion chamber. Atomizing the fuel into a fine mist allows for ignition via spark to occur, while delivering enhanced high rpm running quality. A glow plug works in concert with the spark plug for improved cold weather starting and idle quality. An on-board Propulsion Control Module (PCM) microprocessor optimizes fuel and spark timing for improved running quality and performance throughout the engine’s operating range. SmartCraft® Engine Guardian provides real-time, self-protection engine fault diagnostics and messaging. The advanced 3.0-liter powerhead, customized with a unique cylinder head designed specifically for combustion of diesel fuel, is matched with high-performance cylinder liners for maximum horsepower and optimal engine running quality.